Khulkani Magubane to speak at The Time of the Writer on 17 March in Durban. 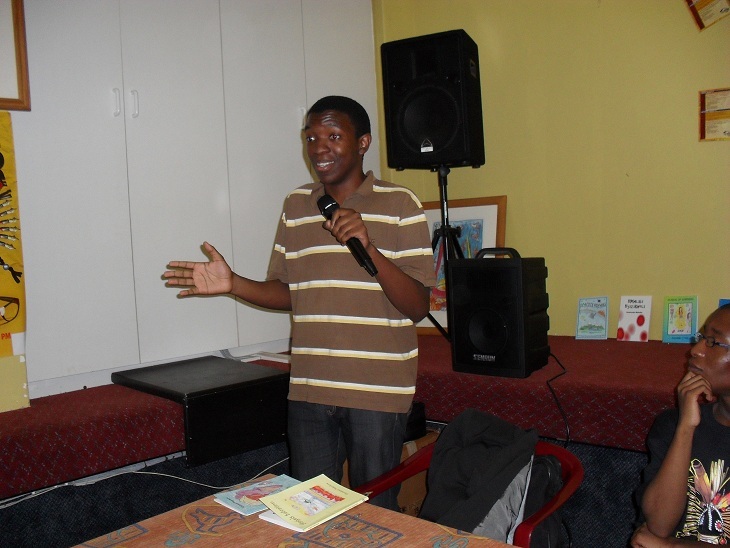 Khulkani Magubane began his publishing career at the age of 16 when he became a member of the Bubbles Dancing Pencils Writing Club in Estcourt. Each year he was a regular contributor with at least one or more new story books. In all, over a period of 11 years, he has had 16 books published by umSinsi Press. In 2012, his most recent book called “Racers, Rats and Rubbish Bins.” was launched at the Cape Town Book Fair. Although seemingly a children’s book, it is more than that as it takes a rat family who live to survive and explores another dimension to their lives when two of them get lost. The rats discover there was much more to life than what they had experienced. They also met a fat rat who seemed to have it all. He was in a cage and was fed daily but he was being kept tor scientific experimental purposes. Khulekani has achieved a remarkable honour for umSinsi Press in that he has been invited to address the audience at The Time of the Writer which starts on the 17th of March at the Sneddon Theatre in Durban. Khulekani is frequently on television and is also interviewed for print media. He works as a journalist for Business Day in Johannesburg.